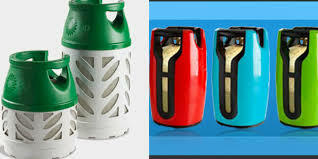 Transparent cooking gas cylinders may be in the market next year 2016, Telangana and Andhra Pradesh may be the first States in the country to have such facility. This facility of transparent gas cylinders is to check gas pilferage. The approximate cost of transparent gas cylinders will be Rs.3000/- collected by gas agencies as deposit amount. This will be implemented in a phased manner and in first phase Hyderabad in Telangana and Vijayawada and Vizag in Andhra Pradesh will have this facility by April 2016. Through transparent gas cylinders it will be easily visible from outside to know how much gas was consumed and gas colour will be light blue. As we do not have facility to manufacture transparent gas cylinders, would be imported in the beginning.